Five recent discoveries has re-shaped how scientists and the general public view dinosaurs. Dinosaurs are cool. That’s not up for debate. But, even though the ancient lizards have been extinct for 65 million years, there’s still plenty of exciting, new research challenging the things we think we know about dinosaurs. Over the past few years alone, a slew of studies have uncovered details about prehistoric life previously unknown to science. 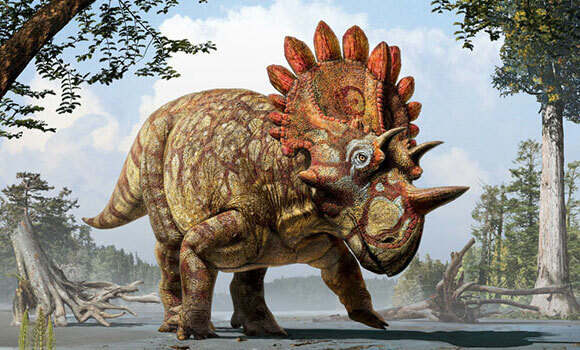 Scientists reporting in Current Biology recently discovered a new species of dinosaur, Regaliceratops peterhewsi (nicknamed “Hellboy” for the “devilishly hard” labor of excavating its skull and for its resemblance to the comic book superhero of the same name). After nearly 2 years spent digging up the dinosaur’s bones, the researchers realized that they’d found a new species, a vegetarian relative of Triceratops that lived around 70 million years ago. Characterized by a giant horn above its nose and a crown-like ring of bony plates atop its forehead, the full-grown Hellboy was so large that even a T. rex wouldn’t have been a threat to it. And speaking of T. rex, scientists reporting in the journal PeerJ discovered in April that Tyrannosaurs were most likely cannibals. After examining the bones of a young Daspletosaurus, a member of the Tyrannosaurus family closely related to T. rex, scientists realized that many of the injuries sustained by the dead dino were caused post-mortem. In other words, some of the injuries seen in the bones may have been what caused the Daspletosaur’s death, but after it was already dead another Tyrannosaur came along and ate part of it. Yikes. Yep, you read that correctly. Despite what the Jurassic Park movies might show, Velociraptors were most likely covered in feathers, more bird-like and less dragon-like than we’d thought. 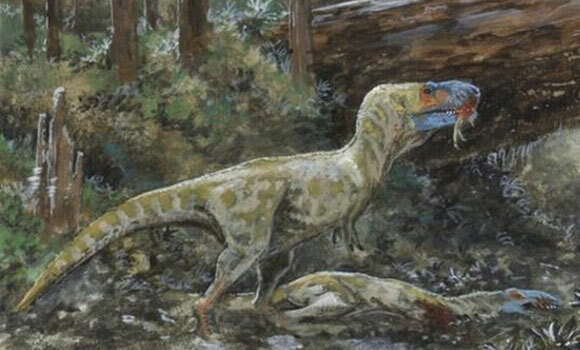 We know this thanks to a recent study published in Scientific Reports, in which scientists analyzed the exceptionally well-preserved bones of Zhenyuanlong suni, a 5-foot-long, 25-pound relative of Velociraptors. Like the Velociraptor, Z. suni was a dromaeosaurid—a fast-running, feathered, sickled-clawed dinosaur closely related to birds. Sadly, despite having feathered wings like a bird, the scientists don’t think Z. suni’s short, 14-inch wings could have lifted it off the ground. 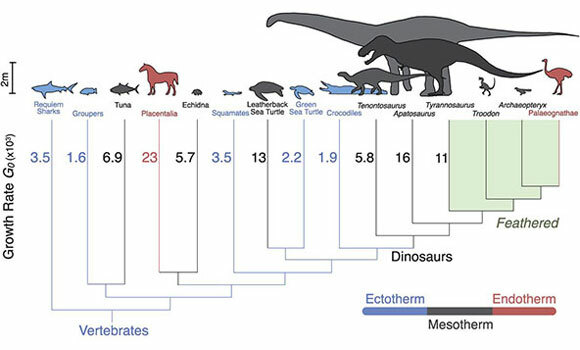 We tend to think of dinosaurs as reptilian and cold-blooded, but in fact, new research in Science indicates that some dinosaurs were warm-blooded (endothermic) mammals. 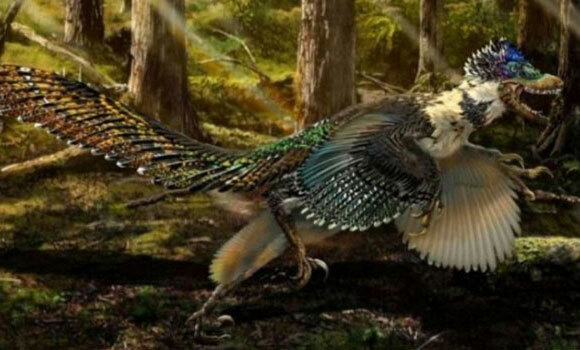 The researchers wondered whether, since modern-day birds are endotherms, and birds are closely related to dinosaurs, dinosaurs might have been endotherms, too. So they studied the dinos’ growth rates and found that the prehistoric beasts grew just as fast as mammals, indicating that they were most likely warm-blooded creatures. In fact, previous studies on dinosaurs’ teeth, energy rates, and energy consumption have also found evidence supporting this theory. However, not all paleontologists are convinced—some still maintain that, based on seasonal metabolism and data from non-avian species, dinosaurs fall into a category somewhere between endotherms and ectotherms. There’s some pretty heated (zing!) debate about this topic—in the dinosaur world, this topic is almost as controversial as the Pluto-(not)-being-a-planet issue. When we think of areas close to the equator, we think of tropical paradises like the Caribbean. Who wouldn’t want to live there? 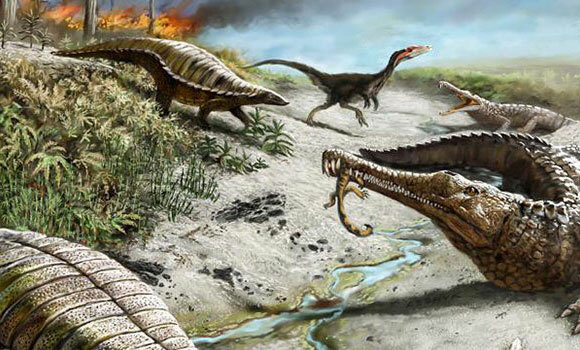 But 200 million years ago, a June PNAS study shows, it was a different story. Extreme droughts, intense heat, and rampant wildfires (similar to current weather along the West Coast of the United States, in fact) prevented most species of dinosaurs from living near the equator, explaining why paleontologists have historically only found the bones of small, carnivorous two-legged dinos in these areas. These resource-limited conditions could not support a diverse community of large dinosaurs like the Brontosaurs or the Tyrannosaurs, so those species were driven to more temperate areas at higher altitudes. So, if Jurassic Park ever does come true, at least you know you’re safe in California. 4 Comments on "Recent Discoveries Change How We Think about Dinosaurs"
Just because they may have been warm blooded, doesn’t make them mammals. I first proposed the possibility that dinos were warm-blooded in 1963, and was soundly ridiculed for it. Likewise I stated that sea-going lizards gave birth to live young at almost the same time, and both facts have since been proven true. In the late 60s I suggested that Archeopterix was not an isolated mutant and quite a few dinosaurs were probably adorned with feathers. Again I was laughed at until feathered fossils were found in China. Science is a close-minded entity that refuses to admit they’re wrong. I agree with the author of this story:Dinosaurs are cool!